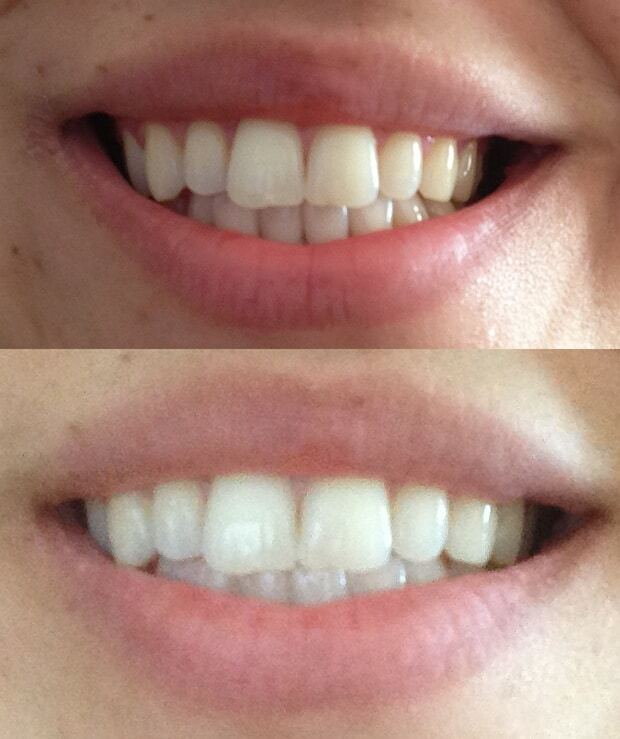 Want a Brighter, Whiter Smile…Colgate Optic White Review! Plus A Giveaway!! Uhh, coffee stains are a drag, but I love me some coffee…but as you know its brutal on your teeth. Enter Colgate Optic White Regimen (products were sent for review by firm representing the brand) a teeth whitening system that boasts whitening your teeth more than three shades when the entire system is used… the Colgate Optic White Dual Action Toothpaste, Colgate 360 Optic White Manual Toothbrush and Colgate Optic White Mouthwash. The Colgate Optic White Dual Action Toothpaste is (4.1 oz for $4.29) is great tasting with a smooth mint flavor (Crystal mint), but is very foamy which I was not used to but I came around pretty quickly. The foaming action really got in more places the regular toothpaste since it kind of inflates in your mouth. I used the Colgate 360 Optic White Manual Toothbrush ($4.49) along with the toothpaste and the brush became my favorite part of the regimen. At first I was not too keen on the soft bristles since I usually get firmer brushes but the toothbrush spread out enough to catch my gums a little better (but really gentle) and the back on the tooth brush has a tongue and cheek cleaner…talk about a multitasking toothbrush. And lastly you have to swish around a little mouthwash, the Colgate Optic White Mouthwash (8 oz for $2.99…get the larger size for the long haul!!) for a minute for whitening and future stains. It has nice taste…a little spicy (Sparkling Fresh Mint) without being harsh like other mouth washes and my mouth felt super clean and smooth and my teeth looked nice and bright! I have been using the system for about three weeks and while my teeth are not super white I have seen a gradual improvement about 1-2 shades lighter (I ran out of the mouthwash so that may be why I didn’t get even better results). 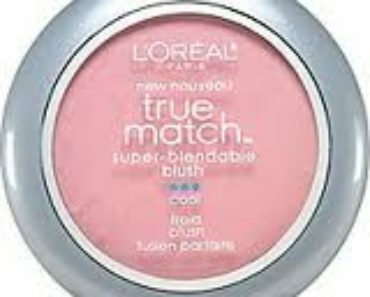 For me it hasn’t been a miracle product that whitens overnight it takes time, but it was improved the color of my teeth. I felt no sensitivity or discomfort. I’ll keep using the system to see how white my teeth get! 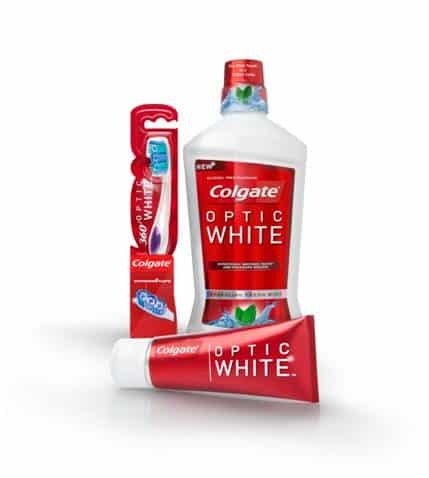 So would you like to try the system for yourself…I am giving away Colgate Optic White Regimen (the toothpaste, toothbrush and mouth wash) to one (1) winner! All you have to do is leave me a comment below telling me you want to win the products or tell me if you have tried any of the products and your results (and include your email address so I can contact the winner). That’s it!!! One winner will receive one Colgate Optic White Regimen. The giveaway is limited to the 48 continuous states. The start date of the giveaway is as soon as you see this post up and will end July 8th, 2013 at 3pm EST!! I will contact the winner within 24 hours for their name and address. I will give you 48 hours to respond or another winner will be chosen! Good Luck!!! Mariah Carey’s New MAC Collection is All Glitter & Glamour! I love to have clean white teeth. These Colgate products look like they really work well. I would want to win because we have family pictures soon. I need all the help I can get! I would LOVE LOVE LLLOOOVVVVEEE to win and try these<3!!! I have not tried any of them yet bur I would LOVE to, I am really serious about dental hygiene and I love finding new, amazing products to try and these look AMAZING:) THANK YOU SO SO SOOO VERY MUCH:D!!!!!!!! I do want to try optic white.